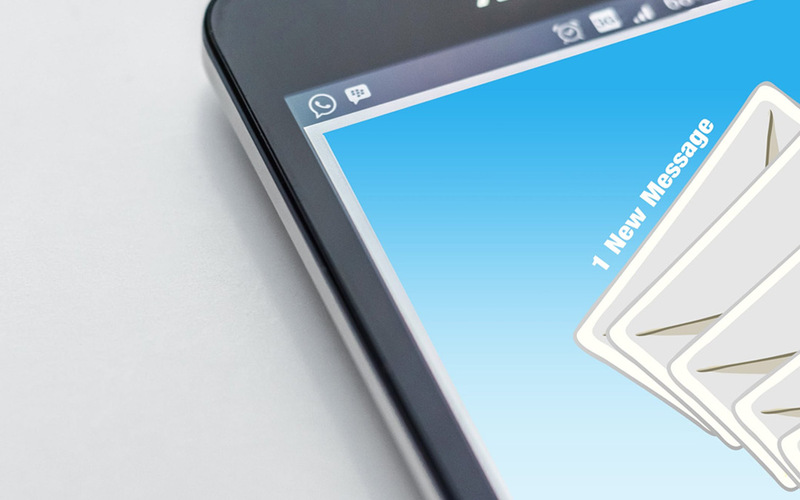 7 Critical Things Every Lead Nurturing Email Needs to Communicate - Emmatt Digital Solutions Inc.
We use email as a form of communication. In fact, email is one of the most common forms of communication marketers rely on. And yet, a lot of the time when we’re crafting our marketing emails, we neglect to consider exactly what it is we’re communicating, whether it be in terms of the tone we’re using, the email’s design, or most importantly, the content itself. Let’s take a look at how your lead nurturing emails should aim to communicate with your leads. 1) You know something about them. First things first: You need to make sure your emails convey that you actually know something about your recipients. Why? Well number one, people like to know they’re not just providing you with information about themselves for no reason. But more importantly, you capture people’s attention when you make things about them. Show them you’re paying attention to what they’re telling you about themselves. If your form asks where they live, or what size their business is, or their role at their company, use that information! Segmentation is important when you nurture your leads because it allows you to target each individual lead more closely. Let’s say you own a horseback riding school. Some of your leads may be potential students who have never ridden a horse in their lives before. And maybe you also have a bunch of more advanced riders in your database. You’ll probably want to send those very different leads something completely different, right? Just make sure your personalization goes beyond using the person’s first name in your email. You know more important things about them, and you should show them that. 2) You are aware of their needs and interests, or are looking to learn what they are. The best marketing is focused around your leads and what they want and need, not what you and your company are looking to get from them. Therefore, your emails should show your readers you care about what they need and what their goals are. If you don’t already know this information, ask for it! A simple “How can I help?” email that doesn’t contain any links to download something actually makes for a great lead nurturing email, because it not only opens up a dialogue with your leads, but it also allows them to provide you with a better understanding of what it is they’re looking for and hoping to get from your company. Once you’re equipped with this information, you can begin your next email with “I understand that your biggest challenge is ______,” and that should have them hooked. 3) You have something valuable to offer them. Okay, now your leads know you’re looking out for their needs. So what? So, you have a way to help them! Once you’ve identified these interests and needs, you can start sending them content that helps them learn more about these areas, or any other resources you think they might find useful. Make it clear in your emails that you not only understand what your leads need, but also that you have a way to help. Think back to our horseback riding school example in number 1. Those advanced horseback riders in your database probably wouldn’t appreciate your introductory guide to horseback riding, but that’s probably a great offer for the ones who’ve never ridden a horse before. See what we mean? 4) You know why this offer is valuable to them. Arguably more important than simply having a valuable offer for your leads is conveying to them exactly why that offer is valuable to them. Why should they download your ebook? What are they going to learn? What are they going to be able to do differently or better after reading it? Maybe you’re a B2B company, and your offer is to provide a free consultation for some aspect of their business. How exactly is this going to help them? Why should they sign up? Assume that the default reaction to your offer is always “Why should I bother?” and tell them exactly why. It’s not enough to position your offer in terms of its content. You have to position it in terms of its value, too. 5) Why they should trust you. You know how much spam is out there these days. Seriously, how many junk emails are you getting? The fact of the matter is, whether or not they think your content is going to be useful is not the only thing your leads are considering when deciding whether or not to open your emails. They’re also deciding how much they trust you. If your company has a strong reputation in your industry, great – you probably don’t have much to worry about. If you’re still building up your authority, your emails need to make it extremely clear that you are a trustworthy source of information. How? First of all, send quality content. Don’t be pushing out unreliable or low-quality content just so you have content to use in your emails. Second, use trust seals (e.g. BBB) and privacy policies on your site, or include them in your emails. Third, make sure the language of your emails comes off as friendly, not spammy. And most importantly, keep your emails relevant. Spam emails are never relevant, and almost never personalized. 6) Why they’d be missing out if they didn’t take advantage of this offer. Here’s where the real convincing comes in. To really seal the deal, you have to go one step further than conveying the value of your offer. You have to create a sense of urgency. Don’t just tell them why they should take advantage of your offer, tell them why they’ll be missing out if they don’t. No one wants to fall behind in their industry. No business is comfortable knowing that their competitors are outpacing them, staying more relevant, using better tools, driving more revenue. Even in a B2C context, most consumers these days are concerned with staying ahead of the curve with the latest products and technologies. Use this information to incentivize your leads to take action. Create the need, address it, and then fill it. 7) You’re looking to help them, not you. We glossed over this point earlier, but it’s definitely worth more emphasis. This is ultimately the most crucial idea you could communicate in your marketing emails. The second your recipients think you’re just looking to get what you want, you lose them. They’re not interested in being marketed to. They’re interested in solving their problems. Your job as a marketer is to figure out how to get what you want, but by making it about them. Start your emails with “you” instead of “I”. Use the information you have about them. Target your content to their needs. Show them that you’re looking to help. Emails can be pretty complex. You have to find the right content, the best positioning, the clearest language, the most appealing design, and then some. But really, the effectiveness of your emails at engaging and nurturing your leads essentially boils down to one thing: the way you communicate. If you pay close attention to what and how you’re communicating, you’ll be able to optimize your emails to be far more effective, and start converting those leads into customers. How well are your lead nurturing emails hitting these 7 communication must-haves?